Registration is open! For more information and the registration form, click here! 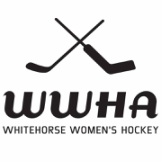 The game schedule will be hosted on the CARHA website. Games are played at the Canada Games Centre on Tuesday, Thursday and Saturday evenings, and Sunday morning at Takhini Arena. Click here for times. Team and player stats are hosted on the ​CARHA website. If you are under the age of 19 and need financial assistance with pursuing your hockey dreams, regardless of skill level, check out the Grindstone Award Foundation.